one of the most popular models of ride-on car toy from vilac. 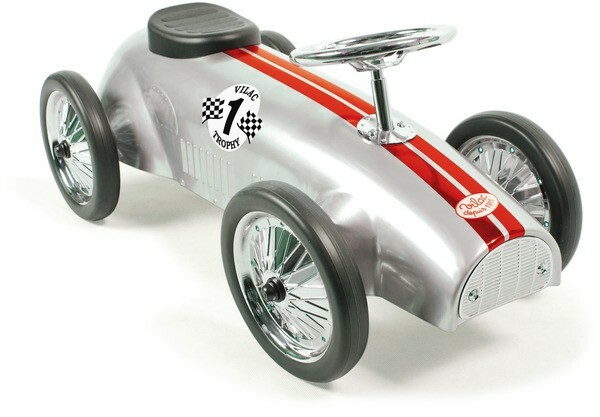 Vilac Silver Ride On Car is a great toy for kids who want to feel like a classic car driver. It has been designed to resemble speedster from the 30-s. It has a silver body and red racing stripes. Its steering wheel is made of metal. It's ideal for little boys and girls aged around 2-4 years, as they develop their coordination and strength in their legs. it also will looks great on display as part of a racing car themed kids bedroom decoration.